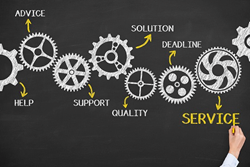 To deliver great service, you must first have a great service delivery model. The Taylor Reach Group, Inc. a globally recognized CX and Contact Center consulting firm, announced today that they are working with a major North American retailer to redesign their Contact Center operating model. Taylor Reach will assist the retailer in analyzing operation models and the costs and benefits of each model. With a model selected, Taylor Reach will then focus on populating the data into the model to provide an accurate Total Cost of Ownership (TCO). The revised Contact Center model will allow the retailer to implement the new model with the costs to the organization to be known and recognized.